Are you a one holiday per year type of person or are you fortunate enough to be travelling more often? 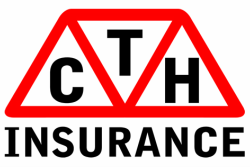 At CTH, we have the policy to suit your Travel Requirements. Specifically with the UK and Isle of Man Reciprocal Health Agreement in mind. With door to door cover as standard, we can provide you with some much needed financial peace of mind! Ask us for a quote and we will discuss your current and future plans to ensure that the policy quotation we provide is the best one for your requirements and pocket! Afterall, why spend too much on Insurance when it can be spent on holiday! This is definitely NOT a one policy fits all solution!